Where brands posts says a lot about how much they value a given social media channel, and how much effort they’re willing to put into it. With that said, let’s take a look at the global posting leaderboard for children’s hospitals to see which networks they’re putting their time and effort into. Check out the Posts Leaderboard, below. First, note the average of all these brands in the gray row. Twitter is clearly the network getting the most activity. Facebook is a solid second, and YouTube and Google Plus are both at the lower end of the spectrum, likely due to video being a more complex format to publish in, and Google Plus being a network brands still aren’t clear on the value of. You can also see that while the posting volume varies from brand to brand, most of them follow the same order of Twitter first and Facebook second. Posting is an interesting look at the activity, although it’s certainly not the end of the story. A logical next metric would be to see what levels of engagement the brands are getting from their content on each network. So below are the engagement totals for each brand, by network. These are the total public engagements generated by the posts in each network. 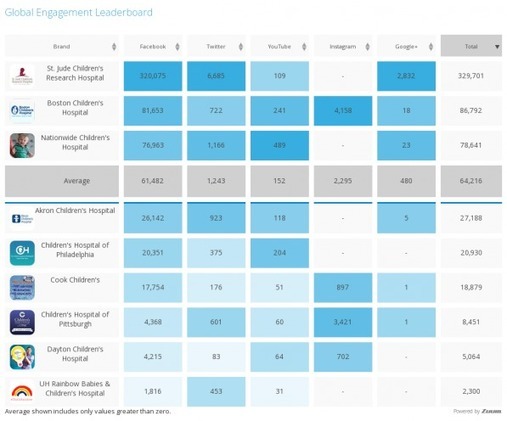 When looking at the average, it presents a very different picture of where the real action is on the social media landscape for these children’s hospitals. Here, Facebook’s dominance is clear. And equally interesting is that for every brand with an Instagram account, that account has generated more engagements than the Twitter account for that same brand. What type of content is working for these brands? 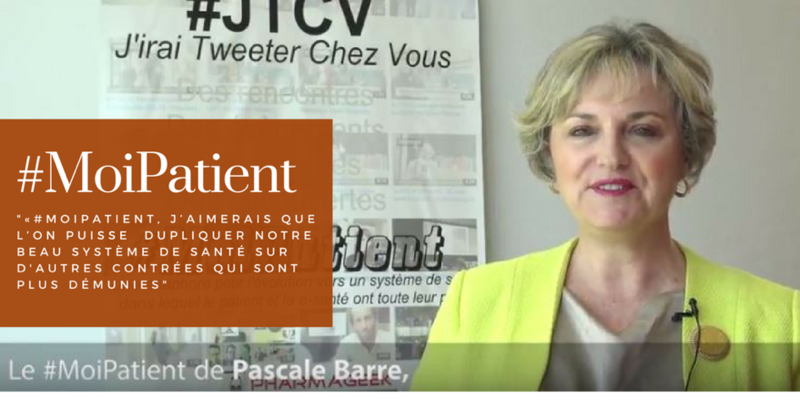 Let’s take a look at the most viral content on Facebook, Twitter and Instagram. At the very center are the posts with the highest share rate. I’ve adjusted the sliders to show only topics posted at least 4 times that month, and appeared on 3 separate brand pages to angle it towards more general industry topics. You can see a lot around the idea of high school and graduation. The hospitals are selecting topics that are both timely and local, as that’s where a large share of their business comes from.